A report released today by Glassdoor says that data scientists have the best jobs in the U.S., according to that company's analysis of its outsized database of job information. With a median base salary of $116,840, more than 1,700 job openings on Glassdoor's site, and a user-provided career opportunities rating of 4.1, "data scientist" took the prize for most highly rated job title in America, ahead of "tax manager," "solutions architect," "engagement manager" and "mobile developer." Glassdoor highlighted that 10 of the top 25 were jobs in the technology industry, more than any other vertical. 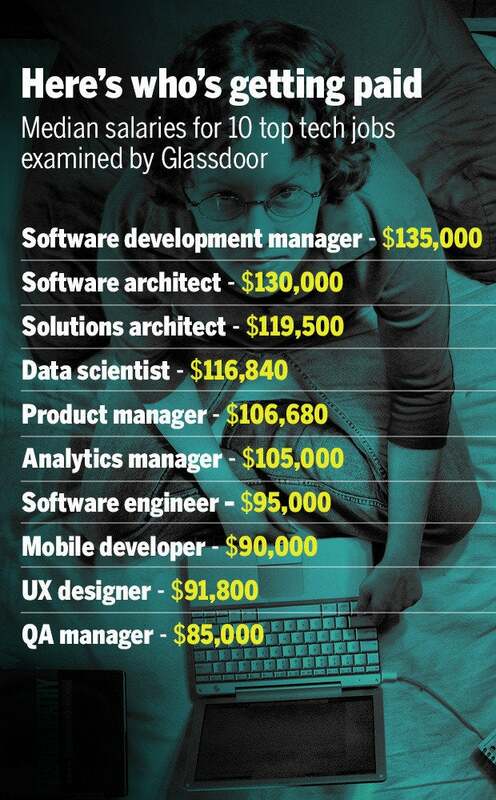 Data scientists reached the top after finishing ninth in last year's report, the first that Glassdoor has issued. "I like the ability to solve real world problems and make a difference for people with creative applications of math and programming," said Ben Greco, a marketing director at security startup Soteria and a former data scientist at the U.S. Navy's Space and Naval Warfare Systems Command. "Believe it or not, that is the stuff I love." "I always enjoyed learning about the world around me," she told Network World. "By asking questions about why things happen the way they do, I'm able to gain insights into nature." It's not a completely cloudless prospect, of course -- like people with any other job, data scientists have their share of daily headaches. "At times, munging [parsing] through data can get tedious," Baumes said. "The worst times are when I realize the quality, quantity, or other aspect of the data simply prevents me from gaining the level of insight that I hoped to gain from the data." Still, data science is attracting a lot of top talent -- munging or no munging -- and doesn't look like it's slowing down anytime soon. This story, "Data scientists have the hottest job in America" was originally published by Network World.